'Open' tournament: $55 per player. 'B' tournament: $45 per player. 'C' tournament: $45 per player. No entries accepted after 8.30am Saturday 24th August 2019 or when full. $10 per player Late Fee for entries received after 21st August 2019. Club account for payment:12-3008-0301266-00 (state name & “PSM”). Saturday 24th to Sunday 25th August 2019. 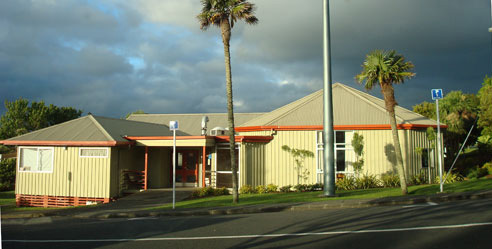 Northcote Community Centre, corner College Road and Ernie Mays Street, Northcote, Auckland. Non-NZL players must have FIDE ID issued by their chess federation. Three separate 5 round Swiss tournaments, FIDE and NZCF rated where possible. 'Open' tournament for players rated 1800 and above. 'B' tournament for players rated below 2000. 'C' tournament for players rated below 1500. A player may take a half point bye in any one of the first three rounds. Notice must be given before the start of the tournament. Free tea/coffee/juice will be continuously available to players. PLEASE NOTE: No player may claim more than one prize. In the event of a tie, prize money will be shared. Players eligibility for Grade and Junior prizes will be announced before round 3. Players eligible for open or grade/junior prize would receive the highest monetary value prize.